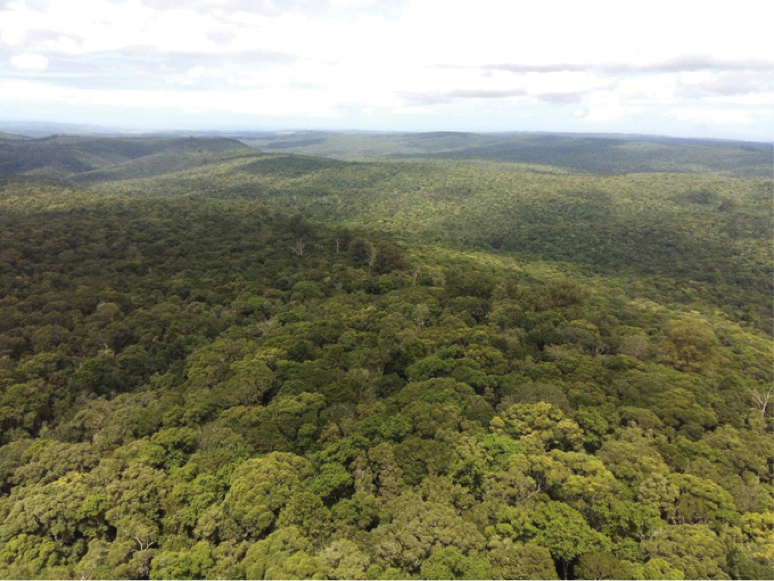 Forests are found in areas that receive annual rainfall ranging between 525 mm and 1220 mm. But if you look at the southern Cape forests, it can be noted that there is no relationship between rainfall and the distribution of forests. This seems to suggest that much of the forested area from the Cape Peninsula to Port Elizabeth has been cleared since the arrival of European settlers in 1652, and that destruction by humans is the reason for the fragmented nature of the forests today. This logic is based on the belief that if an area’s climate is ideal for forest growth (>500 mm annual rainfall), the whole area (coastal plateau and sea-facing mountain slopes) will be covered in forest, and that areas where human activities are currently taking place (agriculture, plantations etc.) were covered with forests originally. The aim of this article is to show that this is not the case, and that the distribution of the southern Cape forests has not changed much since the arrival of settlers. 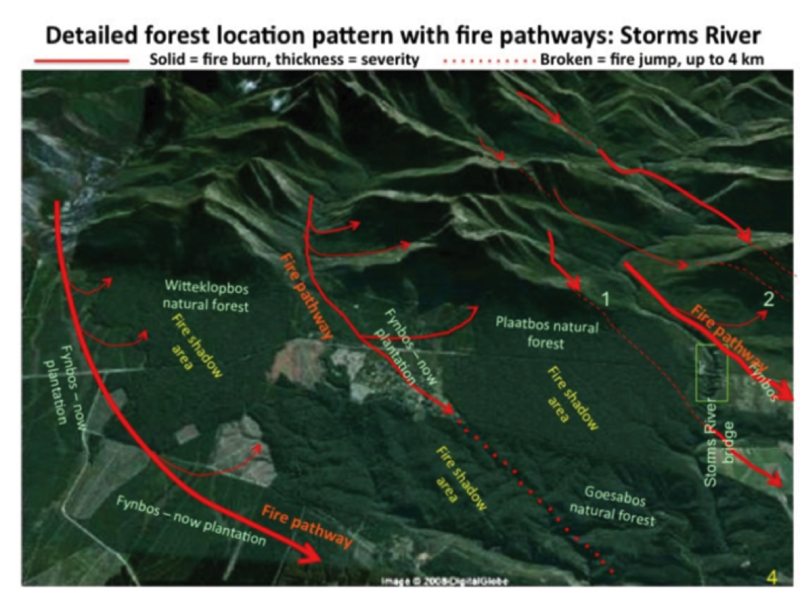 The potential of an area to sustain forest growth is determined by rainfall, temperature and geology, but the actual occurrence and distribution patterns of forest in the southern Cape is determined by fire. Note that that this article focuses on the southern Cape forests. The coastal forests of KwaZulu-Natal, and around Cape Town have largely been destroyed through over-exploitation and change in land use, and their distribution is not necessarily the same today as it was before human intervention. 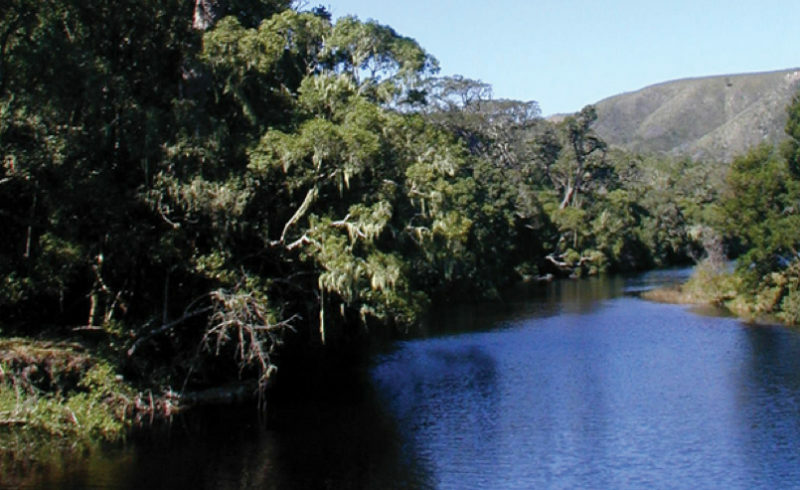 The Knysna forest is the largest forest complex in Southern Africa, and covers an area of about 60,500 ha. The forest includes high (>20 m) and scrub (3 m) forest, and is found in fragmented patches on the seaward side of the coastal mountains. The largest forests can be found on the foothills of mountains, coastal platform, river valleys and coastal scarp. The Goudveld-Diepwalle-Harkerville forest is the largest single, continuous forest in southern Africa and covers all landscape zones except open dunefields. The forests in the southern Cape are the only forests in southern Africa that have been used for timber almost continuously since its discovery by settlers in the 1750s. This eco-region represents the southernmost patches of Afromontane forest in Africa. Natural forest types found in the southern Cape (clockwise from bottom left): dry scrub forest, dry high forest, medium-moist high forest, moist high forest, wet high forest and wet scrub forest. The predominant geology is quartzite, shale, schist, conglomerate and dune sand. The soils of these forests are generally acidic and nutrient-poor. Much of the Knysna forest occurs on gentle to moderate slopes, ranging from 5 m to 1,220 m above sea level with a mean of 240 m. Rain falls throughout the year in the region, with the most rain in early and late summer. Annual rainfall ranges from 525 mm to 1220 mm. Today most of the forests in the area are in formally protected reserves. Only small volumes of timber are harvested for the furniture industry under strict management control. Some larger forests are in the hands of private owners, such as Geo Parkes & Sons and PG Bison (formerly Thesen & Co.), who utilise the forests for timber in terms of forest legislation. Palaeontological evidence suggests that forests, woodland, grassland and fynbos have occurred in mosaics over the past 10 000 – 20 000 years. Forests expanded during wetter periods, and shrank during drier periods. Nevertheless, fynbos, grassland, woodland and savanna have become more prominent over the last couple of thousand years due to an increasingly drier climate as they are better adapted to arid conditions and fire, which has played a major role in determining the pattern of forests. Written accounts by European travellers over the past 400 years describe a situation not very different from that found today. This does not mean that there hasn’t been forest destruction by humans. It is just that the scale at which this took place is much smaller than is generally believed. The southern Cape was originally inhabited by Khoikhoi and San, who lived off the land for thousands of years before the arrival of Europeans. Groups of San hunters occasionally smoked animals out of the forests during hunts, and this could have been the cause of some forest fires in the past (although fynbos was burned most of the time in order to drive animals to where they could kill them, as forests don’t burn easily). The Khoi people were pastoralists and frequently burned the veld to obtain grazing for their cattle. The Dutch ‘discovered’ the forests west of George in 1711. European settlement started in the middle 1700s when the pioneers moved into Outeniqualand to farm and fish and cut timber. The Dutch East India Company extended its control over the forests in the 1770s by establishing woodcutter posts at George and Plettenberg Bay. 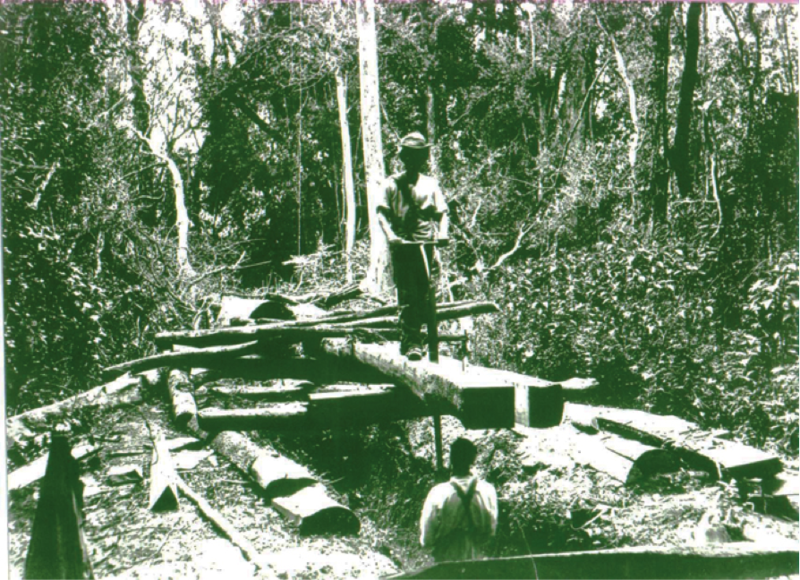 The settlers cut timber from the forest for building, carts and wagons, and later railway sleepers and mining struts. Portions of forest, bush and shrubland were also cleared for crops and grazing. 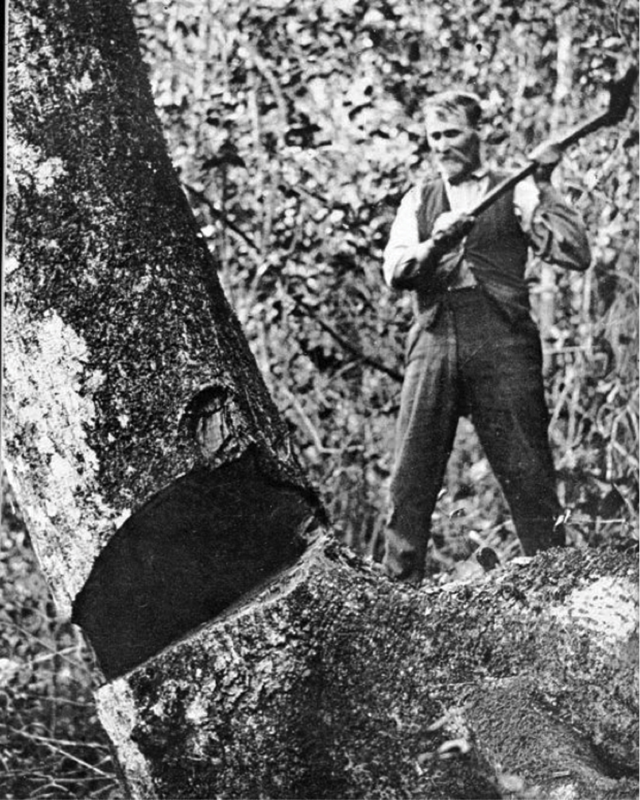 Solomon Pierie Stander felling a tree in the Knysna forest, 1929. The first formal attempts to protect the forests were made in the 1780s, but it wasn’t until 1880 that the first forest management initiatives, based on modern forest science, were introduced. This led to the single-tree selection system of Laughton in the 1920s. 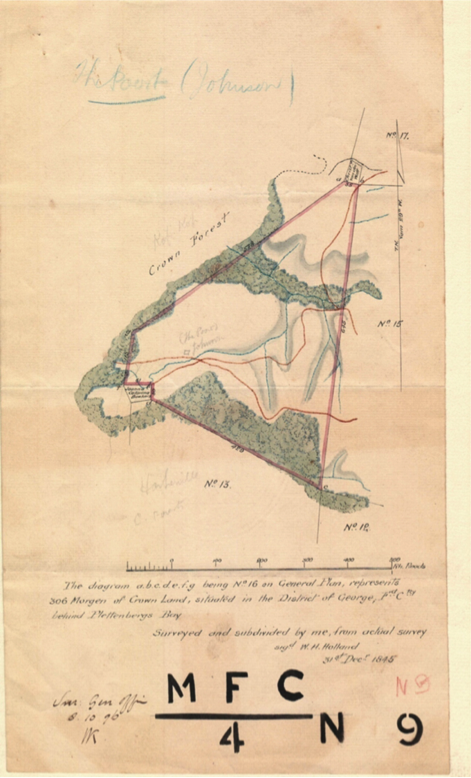 From 1846 to 1856 the government sold portions of the forests (some were worked-out) as Forest Lots to private owners who used the land for farming (mealie gardens) and/or for woodcutting purposes. 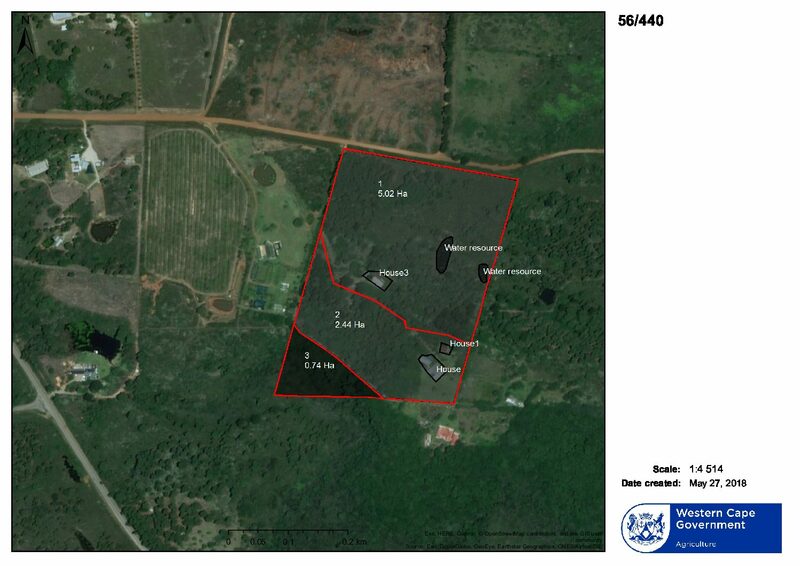 Some of the larger forests in Knysna still in private hands were obtained during this period (Parkes, Thesen’s etc). By 1856 the George forests were mostly worked out or damaged by fire. However the impact was perhaps not as great as one would imagine. Exploitation damage in the forest in the eastern Tsitsikamma (from Blueliliesbush eastward) was common before 1856, but up until 1872 the western Tsitsikamma between the Keurbooms River and the Storms River was relatively unoccupied. 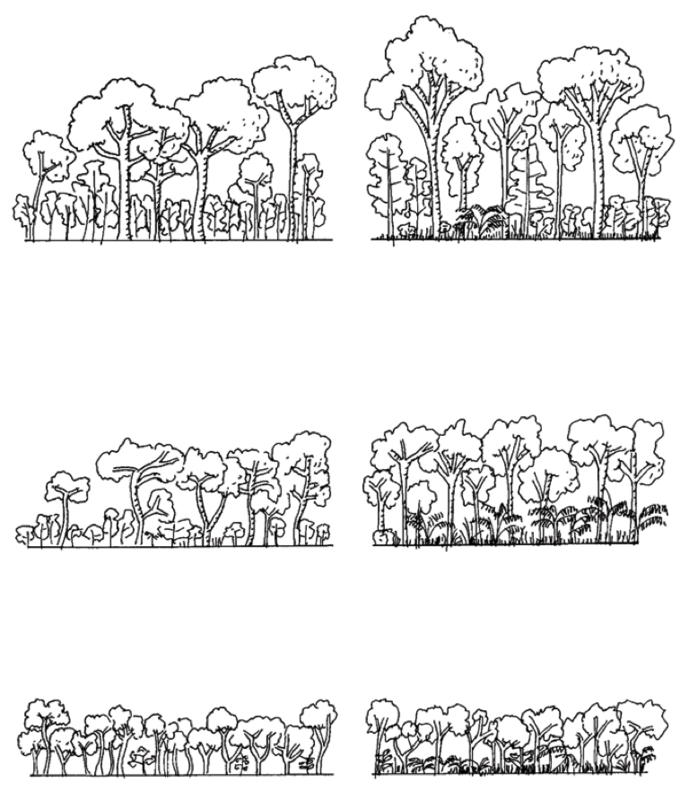 Exploitation by the Europeans on the whole did less permanent damage to the forests because they impacted mainly in the forest canopy. Cutting down a canopy tree allows sunlight to penetrate lower into the forest, enabling smaller trees to fill the gaps. As long as the forest soil is not destroyed, the forest will recover if allowed. Clearing of forest still continues today, but only on a small scale for strategic purposes, e.g. the building of roads and dams, where there are no alternatives. A private company cleared about 140ha of forest (part of the Diepwalle-Fisantehoek complex) between 1958 and 1966 for conversion to plantations. Small portions of forest (218 ha) were cleared for the building of roads, agriculture and dams between 1970 – 1980 in the southern Cape. 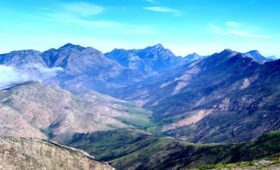 Leading forest scientist Dr. Coert Geldenhuys maintains that the area around George was never covered in forest, but rather with fynbos and grassland. The area west of George was known amongst the early settlers as ‘grassland’ (fynbos), and was favoured in earlier times for seasonal grazing after having been burnt. Suggestions that all open areas adjacent to forest were forest previously, and were cleared during recent historical times must be viewed with caution. Dr. Geldenhuys says that the clearing of forest and conversion to agriculture – even with modern, heavy equipment – would be a formidable task. 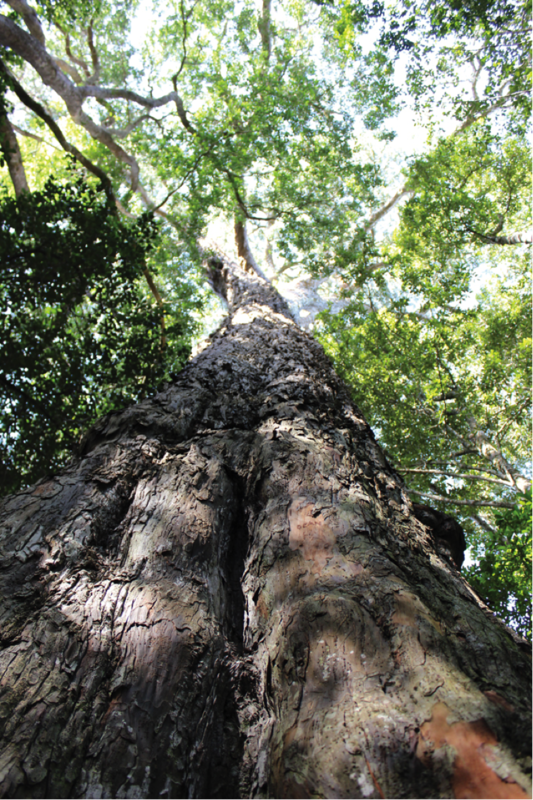 This Outeniqua or Common Yellowwood (Podocarpus falcatus) in the Diepwalle section of the Garden Route National Park, is estimated to be more than 600 years old. The circumference of the bowl is 7 metres, 2.12 m at breast height, height 36.9 m. This tree was probably already too big for woodcutters to harvest in the mid-1800s. According to Inskeep (1987) the pattern of forest and open country around Plettenberg Bay is much the same as it was before the exploitation of the forests began. Pastoralists with herds of sheep and cattle inhabited the area around Plettenberg Bay for a long time, and they used the open fields to graze their cattle and sheep. Forest regulations issued in 1856 entitled timber license holders to take 16 oxen to the forests and graze them for ten days under servitude of grazing. The first exotic timber plantations were established in Concordia (north of Knysna) in the early 1880s with the goal of augmenting the timber from the indigenous forests, which could no longer meet the demand for timber. Most of the plantations were established on areas that were covered with fynbos. A relatively small area of forest in the Knysna area that had been seriously degraded during the woodcutter period, was planted with exotic plantations. However, in that area there is still a tendency for indigenous forest to re-establish itself aggressively. An example of this is the Brackenhill Plantation and small areas in Harkerville. According to George Parkes, the Great Fire of 1869 burnt large parts (mostly forest margins) of the indigenous forest in the Knysna and George districts. 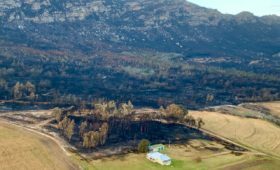 From that fire, invader trees like pine, eucalypts and blackwood were planted by the property owners and sawmillers like Thesen’s, Geo Parkes & Sons and PJ van Reenen. Some of the exotic trees were planted in areas that had burnt down and were cleared by the fire, but most were planted on fynbos islands that already existed in these areas. 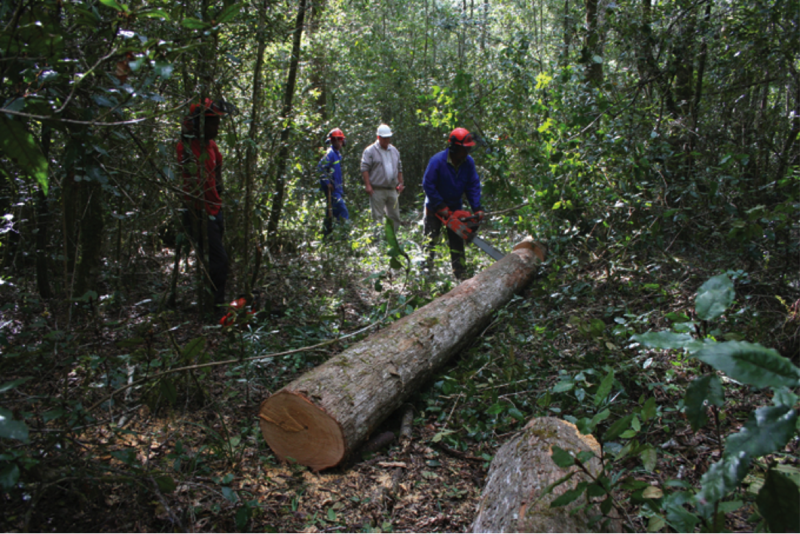 Traditional method of sawing hardwood planks in the Knysna forest. 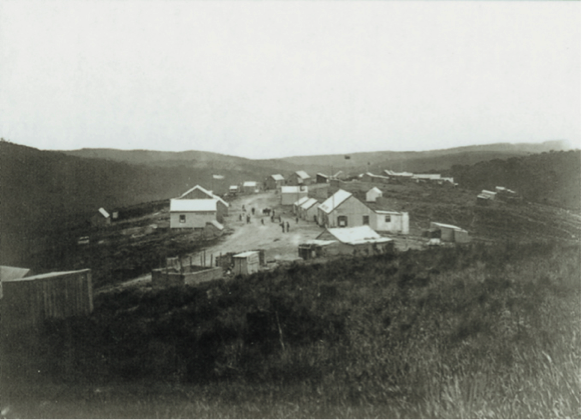 The developing town of Millwood (circa 1870s). This photo shows that the area around the town was covered with fynbos and not forest. The occurrence and development of forests is determined by several habitat factors such as climate (of which rainfall is the main determinant), geology, fire and the sub-soil moisture regime. Yet many commentators and historians (past and present) still consider rainfall to be the determining factor, without taking other factors that restrict the development of forests into consideration. Map of De Poort area circa 1845, showing patches of crown forest and open veld. Two renowned Swedish scientists, Anders Sparrmann and Carl Peter Thunberg, who travelled through the Cape in the late 1800s (about 100 years after Van Riebeeck established the first European settlement in Table Bay, when European settlement had just begun), described the vegetation of the southern Cape coastal areas that show that the area consisted of a mosaic of forest and fynbos, much as it is today. Notes and sketches done by Sir John Barrow during the late 1700s, create the same impression. Dr. Geldenhuys states that fire determines the forest location patterns that occur throughout South Africa and in the rest of Africa, including the tropics. His study of the fire patterns was done in the Tsitsikamma in the southern Cape. He says that the patterns of the forests in the landscape are the result of natural factors (rainfall, geology and natural fire pathways) with no straight boundary lines, as would have been visible had they been made by people. Illustrations (above) courtesy of Dr Coert Geldenhuys. The places where people practised agriculture and plantation forestry lie within the fire zone (hence the need for expensive fire protection). He says that the withdrawal of fire from the landscape due to intensive agriculture and fire prevention efforts has contributed to the establishment of more trees – mostly invasive alien plants. Exotic alien trees do not grow in shade and establish in open fynbos areas adjacent to indigenous forests. On the other hand, indigenous forest trees prefer shade under the forest canopy to germinate and grow. The alien trees therefore act as a nurse stand for the indigenous trees to grow because of the shade. This is why forest species have established themselves in areas which were previously covered with grassland and fynbos. Thus the occurrence of natural forest trees has actually been spread by fire management practices. Forest is surrounded by fynbos, a fire driven ecosystem that requires fire to maintain itself. These fires also maintain the forest-fynbos boundary. The absence of fire results in forest expansion, while the opposite occurs during intense fires. When the natural fire distribution patterns are disrupted by human intervention (e.g. where fire protection measures are in place, or where fire can no longer move naturally through the landscape), then the forest will tend to expand. Similarly, if the natural fynbos-forest ecozone is disturbed (e.g. covered by invader plants, creating a heavy fuel load) and under extreme weather conditions, fire can result in excessive damage to the forest. 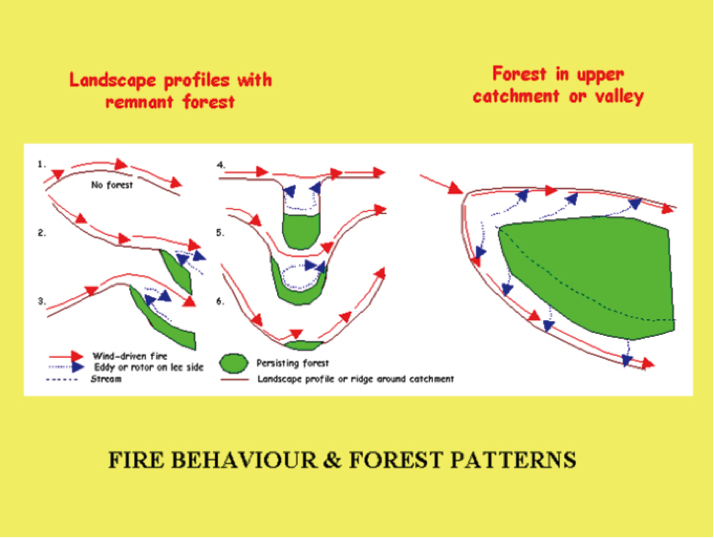 Fire patterns thus have a major impact on the distribution and shape of the forests. Dr. Geldenhuys has shown that forests occur on all geological formations, but sandstones, shales and schists carry above-average forest cover, while granites, conglomerates and unconsolidated sands carry limited forest cover. Forests are found on steep slopes, well-drained slopes, slopes exposed to the salty winds of the sea, and on recently established sand dunes, although growth is rather slow. The soil and geology does not limit forest growth, but influences the floristic and structural composition of the forest (Phillips, 1931). 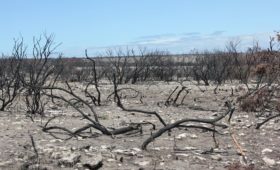 Any attempts to try to establish natural forest in grassland or fynbos areas close to patches of natural forest have failed. Even if the introduced tree plants grow, they never develop properly and only survive until the next fire wipes them out. Both publicly owned and privately owned forests are now in an advanced state of recovery from past timber exploitation. Large parts of the forests are of secondary nature, meaning it has re-grown after heavy exploitation. There is no evidence to suggest that some species are more or less common – the only significant change would be a change in size-class distribution of trees, with less old-growth. Some portions of forest is managed in terms of a policy to rehabilitate destroyed forests, consolidate existing forest patches by reconverting abandoned plantations or forest margins to manageable boundaries, and to eliminate alien vegetation. Sustainable timber harvesting is currently practiced according to the Senility Criteria Yield Regulation System. Monitoring is vital to ensuring that harvesting is sustainable when it deviates from the natural disturbance regime. Overall, the outlook for future protection and conservation of these forests is encouraging. South African National Parks (SANParks) and provincial authorities actively manage over 70% of the total indigenous forested area. Nearly 20% is conserved in proclaimed nature reserves and parks managed privately. Low impact harvesting in the privately owned natural forest of Geo Parks & Sons. Indigenous timber is currently harvested at a rate of no more than 2m³ (1 tree) per hectare. The process – called the ‘mortality harvesting pre-emption system’ – is strictly controlled and seeks to simulate the forests’ natural cycle. Only trees which can be expected to die within the next ten years are felled. It is great news for us as South-Africans to know that these forests are still growing close to their original form. They continue to be an irreplaceable resource for recreation and a haven for unique ecosystems and biodiversity. We need to continue to protect these forests to ensure that they are conserved intact for future generations.